Working closely with top financial services, such as Goldman Sachs, JFrog has gained insight for developing solutions that comply with the specific requirements and regulations facing DevOps teams in financial organizations. 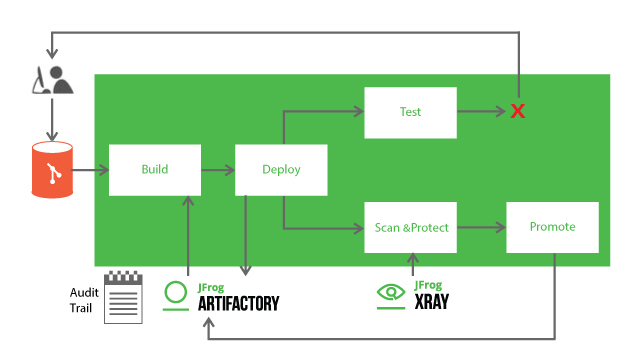 To meet the strict regulations of the financial industry, JFrog Artifactory provides an advanced audit trail log feature that provides full transparency over access control by logging every action that affects access to repositories and packages in Artifactory. And to validate the integrity of artifacts, Artifactory’s unique checksum-based storage uses SHA-256 encryption. To accommodate the need for a closed environment in which exposing operations to the internet is forbidden, JFrog provides the dedicated Air Gap solution which uses one instance of Artifactory inside the isolated network, and a separate one for external internet access. Artifactory is an enabler that allows finance companies to enjoy the benefits of open source software without compromising on security. To learn more about JFrog Artifactory’s solutions for finance, come and meet us at Fincode in London on March 14-16th, 2018.